Once upon a time, the only way to go green at the office was to employ paperless practices and energy-conscious efforts. Although businesses across the country use these green practices and more to make a lighter impact on the environment, eco-friendly individuals and businesses can now take the task of keeping our Earth healthy to the next level. How? With LEED. LEED — short for Leadership in Energy and Environmental Design — provides building owners and operators with guidelines for identifying and implementing practical and measurable green building design, construction, operations and maintenance solutions. 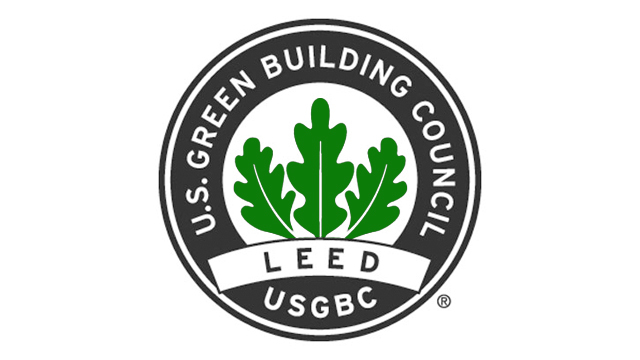 Created by the United States Green Building Council, LEED certification has provided third-party verification that a building, home or community was designed and built using techniques aimed at achieving high performance in certain areas of human and environmental health, including: sustainable site development, water savings, energy efficiency, materials selection, and indoor environmental quality. Although Washington D.C.’s Green Building Act, which requires that all non-residential buildings larger than 50,000 square feet in the district be LEED certified, was passed in 2006, the act was not enforced until January 1 of this year. Its effects on green office structures will not be observable for years to come. The future of LEED will be determined by upcoming voting. Right now, voting on LEED v4, which was originally called LEED 2012, is set to take place on June 1, 2013. What are the effects of LEED? Although this movement has complicated things for construction companies — especially those needing specific types of surety bonds — the positive effects of LEED on the environment are undeniable. Sure, it takes time for new environmentally friendly policies to become the norm, but LEED demonstrates that it is possible to make a difference in a big way — with the government’s support, of course. It’s hard to say if LEED-certified buildings will become required throughout the United States in the next ten or so years, but it’s safe to say that, eventually, these green buildings will be built in big cities across the country. Until then, continue being paperless and digital in your office. Even the smallest effort makes a difference. Sara Aisenberg is the executive writer at SuretyBonds.com, one of the nation’s leading surety providers. As a writer in the bonding industry, Sara keeps up with the latest law and legislation developments in an effort to help individuals needing bonds get bonded as quickly and easily as possible.